This Artistic Weavers Yacara area rug is a great high-quality option for livening up your home. Modernly designed with you in mind, this plush synthetic indoor/outdoor rug will be a great addition to your home. The hand-made construction of this area rug is both modern and comfortable. Quality and style come first with this geometric patterned black rug. Improve the overall interior design of your living room, dining room, or hallway with this Artistic Weavers Acaribo area rug. Complete your home's contemporary design with this indoor/outdoor rug made of plush synthetic material. High-quality and high fashion, this hand-made rug is perfect for you. This blue rug has a fashionable geometric pattern to add some flair into your home. This unique and stylish Artistic Weavers Anderson area rug will tie any room together in your home. Designed to decorate an indoor space, this plush wool material rug is high quality. This hand-made rug is durable and modern. Upgrade the decor of your modern home with this floral plants patterned black rug. Include this Artistic Weavers Anderson area rug in your hallway, dining room, or living room decor for a taste of modern style. 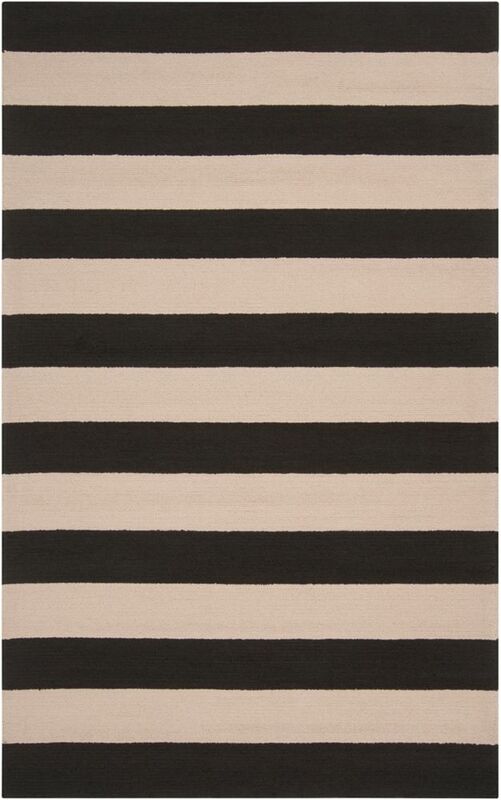 Quality meets modern style in this indoor rug made out of plush wool material. This rug is comfy, hand-made, and stylish. Quality interior design comes in the form of this floral plants patterned black rug. Include this Artistic Weavers Delado area rug in your hallway, dining room, or living room dicor for a taste of modern style. Made from plush wool material, this indoor rug is high quality and extremely fashionable. This product is hand-made, which assures quality. This black rug has a fashionable paisley pattern to add some flair into your home. Yacara Black 5 ft. x 8 ft. Indoor/Outdoor Transitional Rectangular Area Rug This Artistic Weavers Yacara area rug is a great high-quality option for livening up your home. Modernly designed with you in mind, this plush synthetic indoor/outdoor rug will be a great addition to your home. The hand-made construction of this area rug is both modern and comfortable. Quality and style come first with this geometric patterned black rug.